Harbhajan Singh not out 111 in 116 ball with 7 sixes & 7 fours. Zaheer Khan led the charge with the second new ball, and Harbhajan Singh followed up with important wickets to give India the upper hand. New Zealand lost their last seven wickets for 97, with their innings ending shortly after lunch. Jesse Ryder, struggling with the calf strain he carried from the first Test, added important runs through his positive batting, but a shrewd Zaheer caused enough damage from the other end to make it India’s day so far. 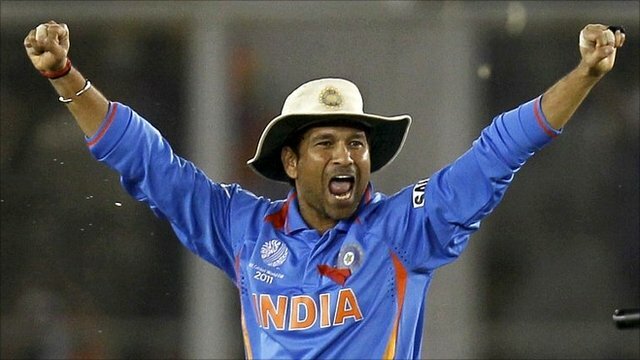 Iconic Indian batsman Sachin Tendulkar, who is set to become only the second player in the history of cricket to play six ODI World Cups, was named on Thursday the official ambassador of the event to be held in the sub-continent next year. Tendulkar will be called upon to promote and support a variety of ICC initiatives for the tournament, which is the third biggest sporting event in the world and will take place in Bangladesh, India and Sri Lanka from February 19 to April 2 next year, the ICC said in a statement.